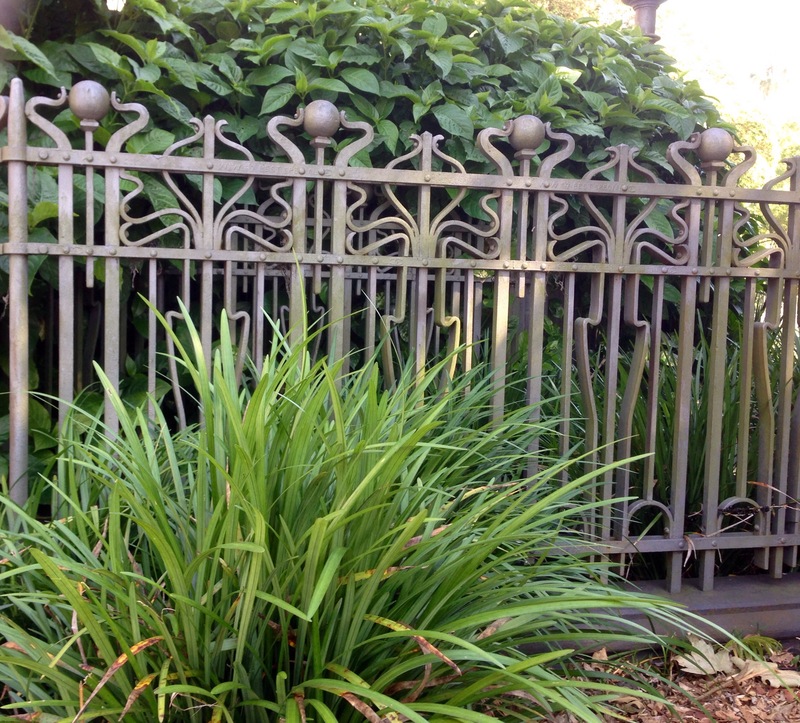 At first glance these Edwardian railings appear to be an integral to Sydney’s Hyde Park. In fact, clever planting, neutral paint colour and repairs to the sandstone encircling the area tell a different story. They mark the entrance to an early 20th century underground men’s toilet. Most of these facilities were demolished or filled to ground level in the 1990s. So many euphemisms attempt to conceal the identity of these essential services. This testament to the past almost succeeds. Beautiful railings. Too bad about the washrooms. They’re such a beautiful art nouveau style it’s a shame to have painted them gray. I suspect it’s the same paint as the Harbour Bridges. It sparkles like sunshine on frost. That sounds a lot nicer than ‘Battleship Grey’ Robert. they are lovely. I like ‘style’ over utilitarian design. I love Sydney’s Hyde Park. I hope to return there one day soon.